To reserve the clubhouse, please check the Clubhouse Calendar for the date you desire. If it is available, please fill out the form below. When booking the clubhouse you must request the date a minimum of 2 weeks in advance. 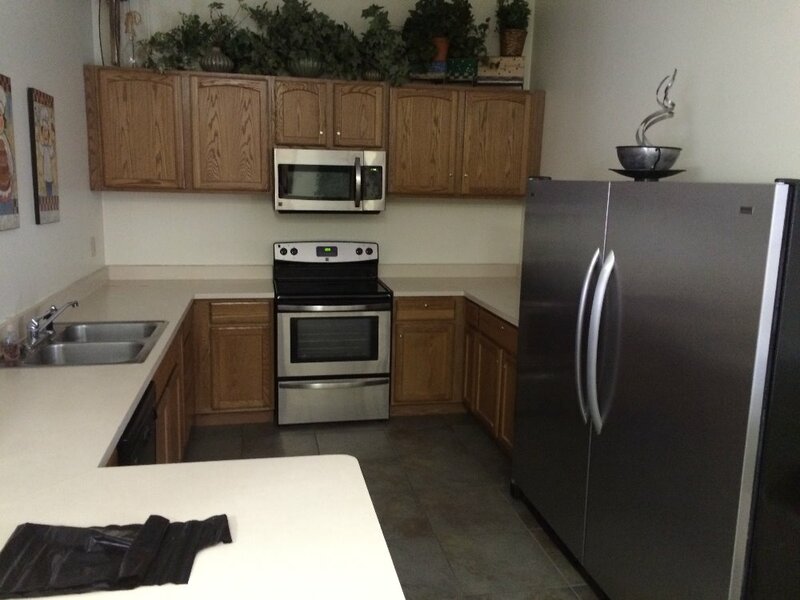 The clubhouse comes equipped with a full size refrigerator and full size freezer, Stove, and Microwave. Your rental will include four 6' tables with 4 chairs at each table and then a counter height bar with 4 bar stool. Also, there are 2 sofas and 1 love seat. Maximum fire code capacity is 85 people. We do offer additional tables and chairs for a fee. 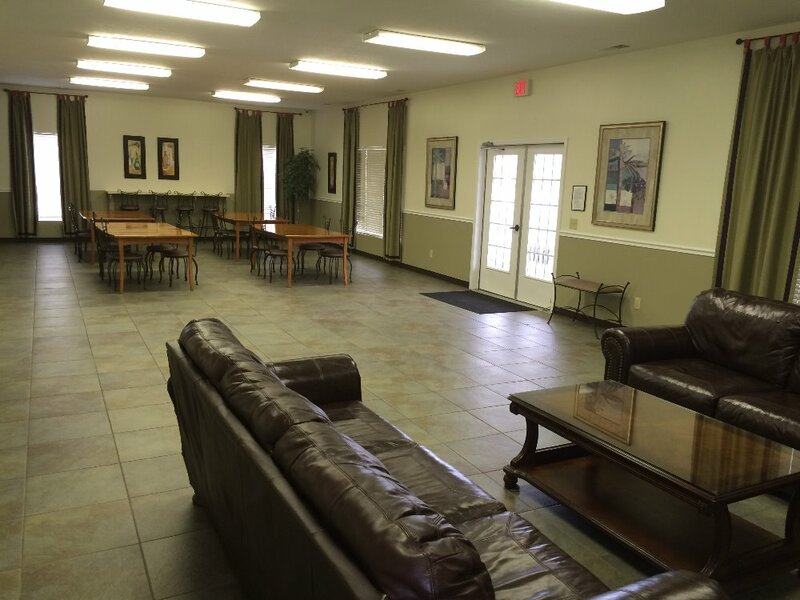 Here is a picture of the main room of the clubhouse. Here is a picture of the kitchen in the clubhouse.